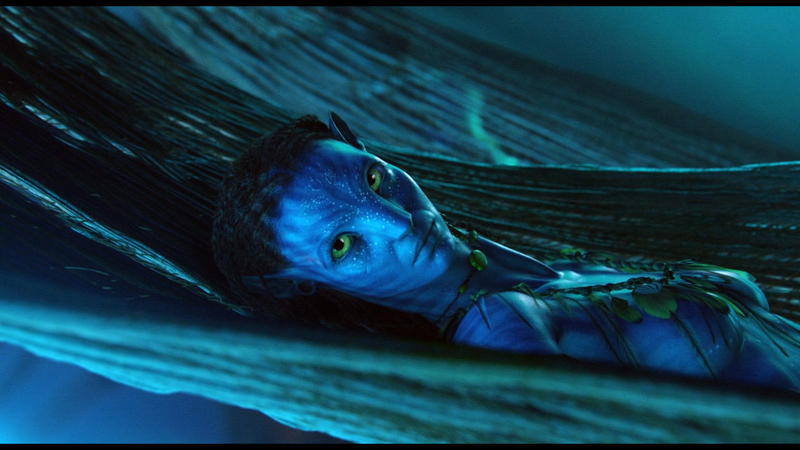 In Avatar one can see Neytiri and others wearing necklaces and other adornments made of feathers. One can also see feathers attached to arrows. Where do these feathers come from? What kind of birds live on Pandora? They look like feathers, but they're really insect wings. really? I thought there were regular parrots like on earth, I think you can see some in the scene where Norm asks "so how will they know we're here" and Grace replies "I'm sure they are watching us right now"
Some of them ARE feathers. Just because feathered animals weren't shown doesn't mean they aren't there. How the hell would a Parrot survive in an atmosphere with as much as several dozen times the concentration of Hydrogen Sulfide and Carbon Dioxide needed to kill it? Also, how the hell would there even be Parrots on a moon without any other Psittacine-like animals/birds? What you said makes zero sense, and I sort of hope you were joking. Anyway, I was thinking about the feather thing a few days ago too. If we use our own descriptions about Earth animals and apply it to this (which is wrong, but what else is there to go off of? ), then one could argue that Ikran and Toruk, both reptiles to us, would have a common ancestor with a reptile that could have had a split evolution into aerial reptiles (Toruk, Ikran) and birds with feathers. The only problem with this is that the birds would need to occupy a different niche in the ecosystem than the other flying animals to be be successful and survive. They could be exclusively fruit/nectar-eating birds, sort of like giant hummingbirds, or perhaps herbivorous leaf-eating birds, but there probably wouldn't be any eagles or anything, since Ikran and Toruk would out-compete them for prey. I sort of hope JC notices this issue.....it might be kind of cool if there were giant hummingbirds. It need not be a flying animal. In the past there were feathered dinosaurs. The feathers the Na'vi have on their arrows are flight feathers; bird-hipped dinosaurs did not achieve flight with their feathers until much later. The fossil evidence of "feathers" on some dinosaurs were not true feathers; they were the precursor to modern feathers, but they looked nothing like flight feathers. They were more like the downy feathers found under flight feathers and other types of feathers, and evidence shows that they were mainly for insulation. It was not until later that feathers became utilized for flight, and the feathers that are on Neytiri's arrow in that pic are flight feathers from near the tip of a bird's wing, the most important feathers for flight. 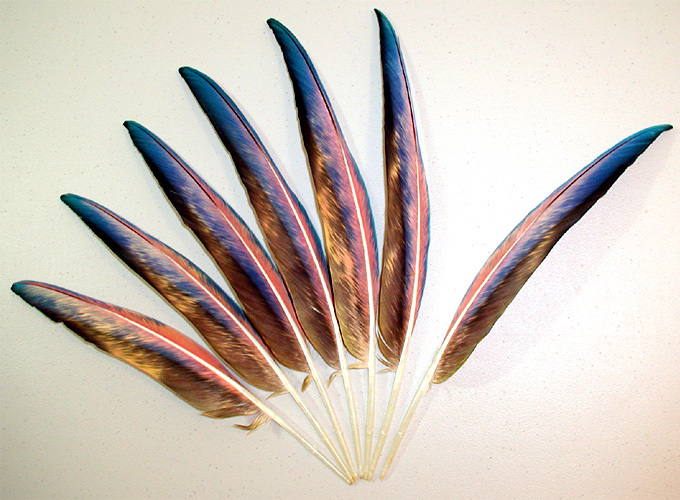 In order to have a feather be shaped like the one in that picture, it *had* to have been evolved for flight, even if the animal it comes from lost the ability to fly (although birds that do not fly usually do not have feathers suitable for arrows). Therefore, there must be a flying, feathered reptile/bird living on Pandora where they get feathers from. Last edited by Raiden; 10-08-2010 at 11:56 PM. The feathers on the arrows are Earth feathers for the sake of using something that would work. But that doesn't mean they are actual bird feathers. I suspect that they didn't think to make 'feather like' flights and resorted to just using an actual feather. Bird feathers are very unique in their structure as the animals themselves are, it is doubtful there are the same kind of animals on Pandora. Let's just call this 'artistic license' and move on shall we? Actually, re: the dinosaur thing - I was fairly certain that at least some of the feathers (on some of the raptors, at least) along their arms were more like flight-feathers than not - this would have helped them turn 'glide' around corners. The thing is, on Earth, what is needed to feathers is scales - and so far on Pandora, we don't see scales anywhere. Just skin. But, as has been said, clearly there is SOMETHING that flies with feather-equivalents. Now where's the fun in that? *g* Cameron has given us a lovely world to play around with - no harm in bouncing ideas off each other. Might even be useful for fic-purposes - having ideas to flesh out the world and play with concepts. Besides, the arrows are clearly important to Na'vi, so I'd see it as an important part of their culture as to where they get those feathers from. Last edited by Ashen Key; 10-09-2010 at 01:59 AM. Yeah, but the feathers on the arms of those dinosaurs were still not the same as bird feathers. There are artistic interpretations that show them this way, but that's an artistic interpretation for you. Also, that didn't start happening until the very late Cretaceous period, and only a few of those dinosaurs made it past the Cretaceous extinction event and continued to thrive and evolve into birds. My point is, the feathers used in the movie, whether or not JC wanted them to be from a Pandoran creature or just used them for the sake of simplicity, had to have been from a bird. No dinosaur ever had flight feathers that were as advanced as those; those were like eagle soaring feathers, the dinosaurs basically just had rudimentary aerofoils made of keratinized outgrowths of the scales. Last edited by Raiden; 10-09-2010 at 02:44 AM. Dude, chill the F out, ok? Ok, feathers are pretty unique among terran lifeforms... actually very unique. But no so crazily unique that it can't happen on an alien planet, I think, since they already have formed skeletons, eyes, etc., that are almost exactly the same as ours. 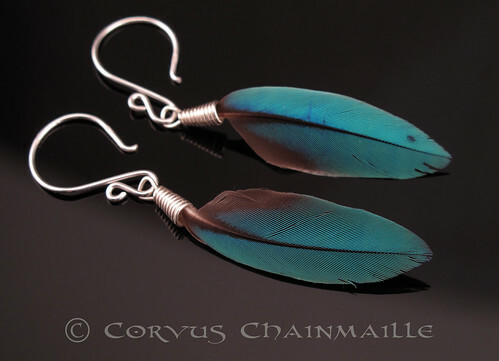 But I am puzzled a bit about the color of the feathers on Neytiris necklace - not very Pandoran. But then, the tutee in the background here, have pink feathers in her necklace. And some other background-females have necklaces with turquoise-purple-pink feathers. Not very Earth-like, and more Pandoran than those on Neytiris necklace. But about Ikran, Toruk and such outcompeting them... I wonder, what niches did birds fill during their early days, when they shared the sky with the pterosaurs? Because they did live together for millions of years. Think of Archaeopteryx, and then the small pterosaurs... they had to have similar niches, almost. Last edited by Nìmwey; 12-08-2010 at 02:35 AM. Interesting point about the feather types, they don't seem that similar to me now I think about it, although I don't really see any reason specific ones would be used for clothes. Yes, we humans have a very unique bodyplan among terran creatures. So why argue about feathers when the presence of a humanesque alien is unlikely enough? There are many things so Earth-like on Pandora that they may not be likely, but they are possible.